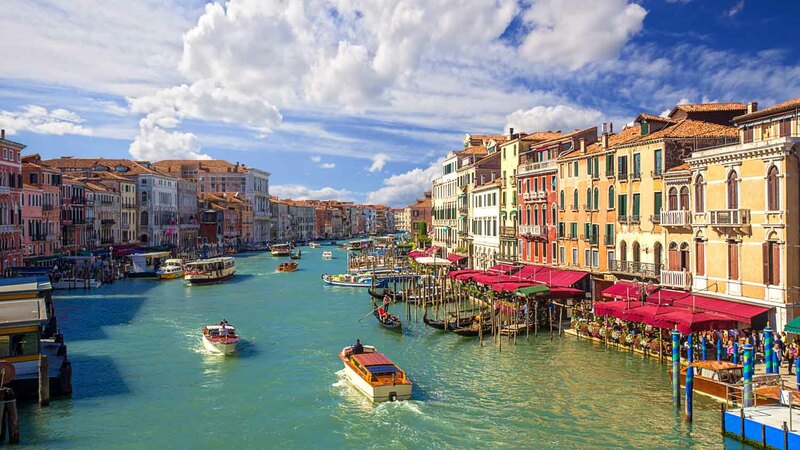 Referred to as the heart and soul of Venice, the Grand Canal is the longest of the city's 120 canals. Stately homes of former merchants line its 2.5-mile, serpentine banks, reflecting centuries of wealth that have flowed into this majestic port city. The first settlers to arrive on the marshy islands of the lagoon were refugees fleeing from Huns and Visigoths after the fall of the Roman Empire in the 5th century AD. 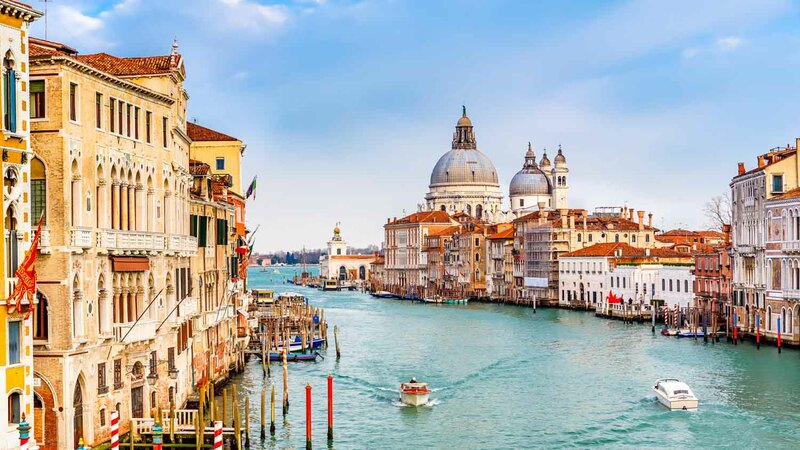 Venice built the Basilica of Santa Maria della Salute, with the hope that the Virgin Mary's intervention would rid the city of the Black Plague. "Salute" means "health" in Italian. The Rialto Bridge is the oldest of the four bridges that span the canal, and it was the only one until the 19th century. First made of wood, the newer stone version was erected in 1591. Over 170 buildings along the canal reveal the ages of architectural influences on the city. The oldest is the 13th-century palazzo Ca' da Mosto in Venetian-Byzantine style. The "vaporetti" (water buses) cost €8.50 per ticket from the train station to Piazza San Marco and run every 10 minutes. The trip on Line 2 takes 20 - 30 minutes, and 45 minutes on Line 1. 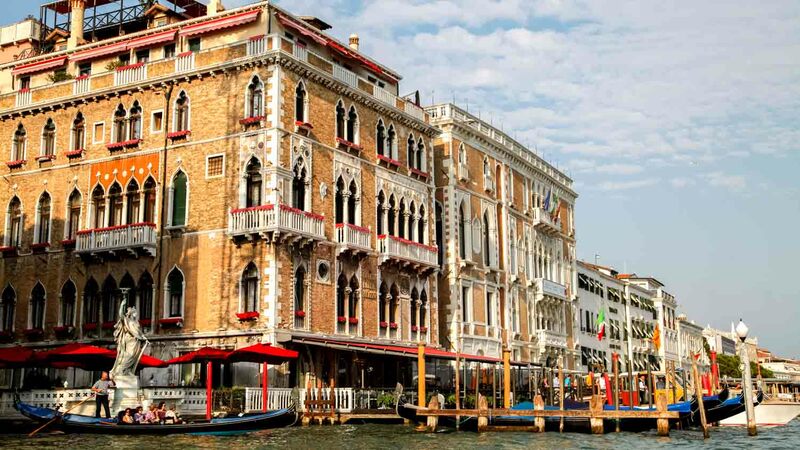 The "taxi acquei" (water taxi) costs €110 from the airport to a hotel, and, depending on the distance, between €40 - €70 within Venice itself. A typical ride lasts 40 minutes and costs about €80. Add another €40 per 20-minute increment thereafter. The price goes up after 7:00 pm to €100 and costs €50 for every 20 minutes thereafter. In the end, it is always wise to agree on the price with the gondelier before setting off. This "water ferry" is a cheap alternative to traveling by gondola and costs €4 for a five-minute ride across the Grand Canal. 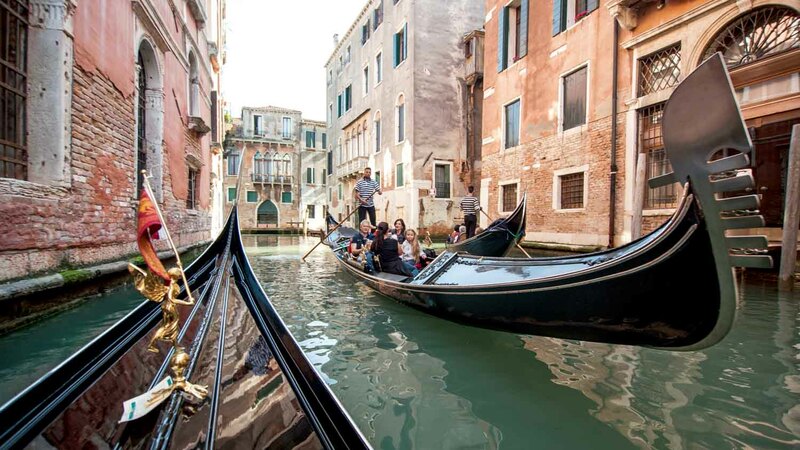 The difference between a traghetto and gondola is that two people are rowing, and passengers generally stand for the short trip. Depends on when your chosen gondolier wakes up! From 9AM onward is a good bet. Choose your fancy! 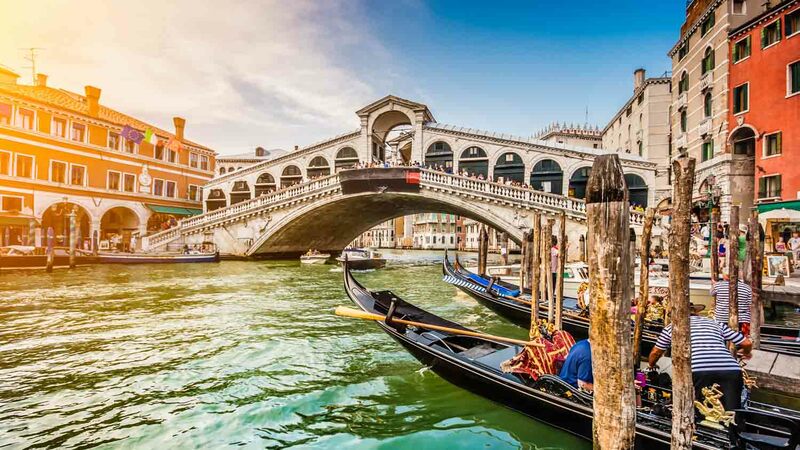 You can compare gondola-ride and water taxi prices on our website. Most definitely, unless you row your own boat. And would you really want to miss an Italian serenade? By foot from the train station or Piazza San Marco. Though the locals stand in a traghetto, find yourself a seat. The bobbing of the boat might bop you into the Canal! Amazing food and very romantic. Great way to try new food (fish). This was the best activity that we did in Venice. The food was amazing and gave us the chance to try lots of different fish courses that we haven't had before. It was really cosy and romantic and the views were great. The amount of food and drink along with the relaxing tour of the lagoon make it great value for money too. Would recommend to anyone!